I have a complicated relationship with the game of basketball. Growing up, the Seattle Supersonics were the best team in town for many years. I loved the NBA and look back fondly on the days of Shawn Kemp and Gary Payton. Of course, when the Sonics were ripped unceremoniously out of Seattle after the 2007-2008 season, I developed a disdain for professional hoops. Luckily college basketball has become a passion of mine since then thanks to the opportunity to cover both Northwestern women’s basketball and men’s hoops in college. One of the first lessons I learned in broadcasting came my freshman year when I was on color commentary for a game at Michigan. Apparently some of my comments about the way the ladies played that day were a bit…harsh. Legend has it, (I’ve never had this confirmed, but I wouldn’t be surprised if it’s true) the women’s head coach requested that a member of the athletic department obtain the archive of that broadcast and edit together a montage of some of my more pointed statements. Supposedly she played the audio to the players at practice and said to them “this is what they are saying about you!” I’ve learned to tone it down since then! 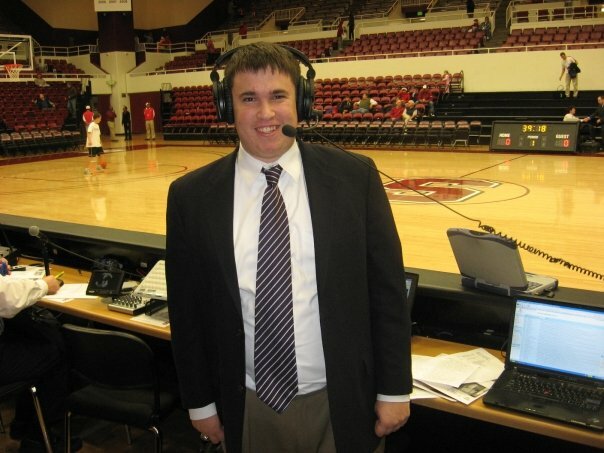 As I continue to pursue a professional baseball broadcasting career, I hope to find an off-season basketball gig wherever I end up!